A couple of weeks ago I learned that Bob’s Red Mill came out with a new gluten free flour mix. While I personally do not have to avoid gluten, I have plenty of clients and readers who do; so, it was time to experiment…and experiment I did. The flour comes with a claim of 1-to-1 substitution power, so, I tried it in every way possible–desserts, cauli poppers, and even bread. While I am very pleased with overall results of the new flour, I have found that it cannot truly be substituted one-to-one in most cases, and some adjustments are needed. However, when it comes to the quality of baked goods delivered, this gluten free flour surpasses anything I had tried so far. I am very pleased to recommend this flour to you. 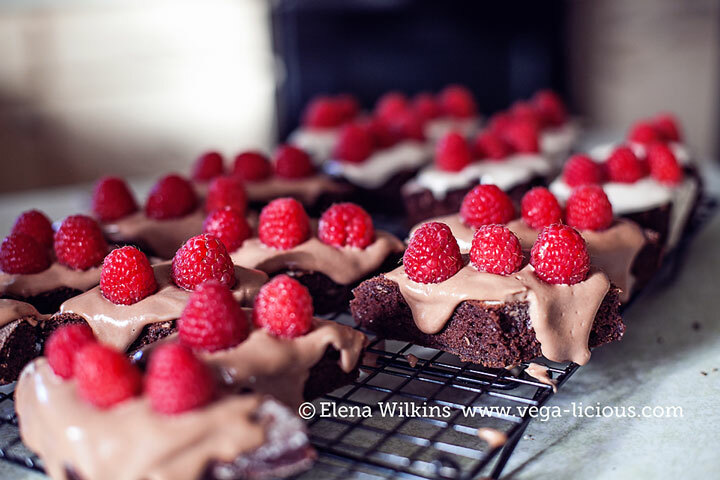 If you have to eat gluten free, I know you want all of the delicious gluten free treats I just mentioned. 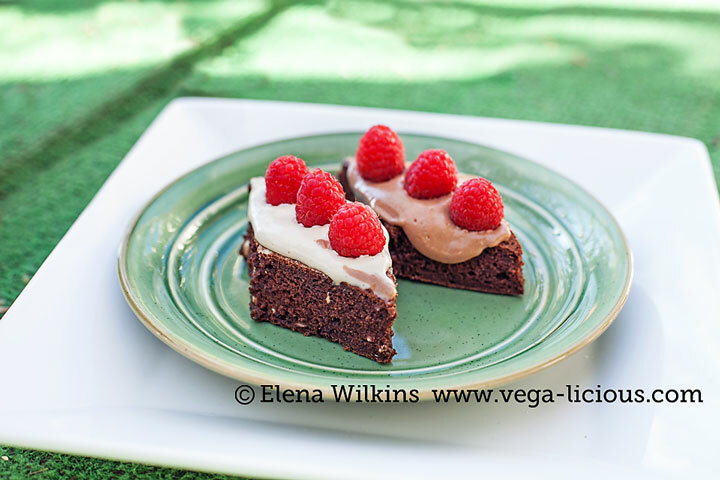 While I need to keep playing around and reconfigure my bread recipe (the first trial was a semi-disaster), I am happy to share an updated, to live for, vegan, sugar and oil free, gluten free brownies recipe. 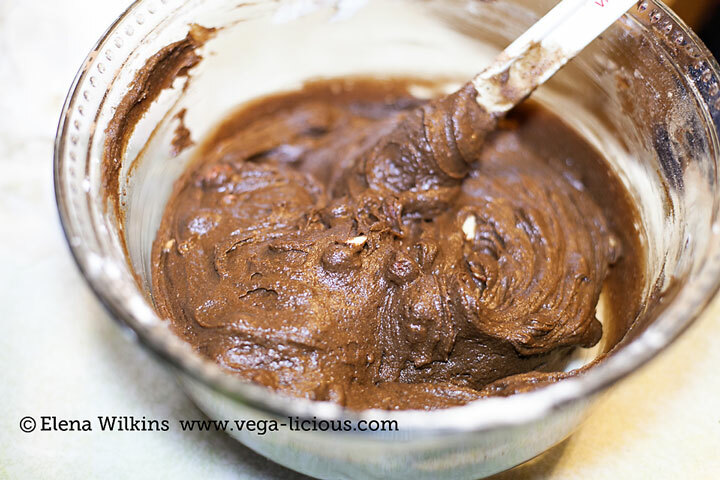 Using a high speed blender blend black beans, honey, pitted dates and water until mixture becomes smooth. In a large mixing bowl combine gluten free flour, salt, and cocoa. I had a little helper, who loves healthy desserts. 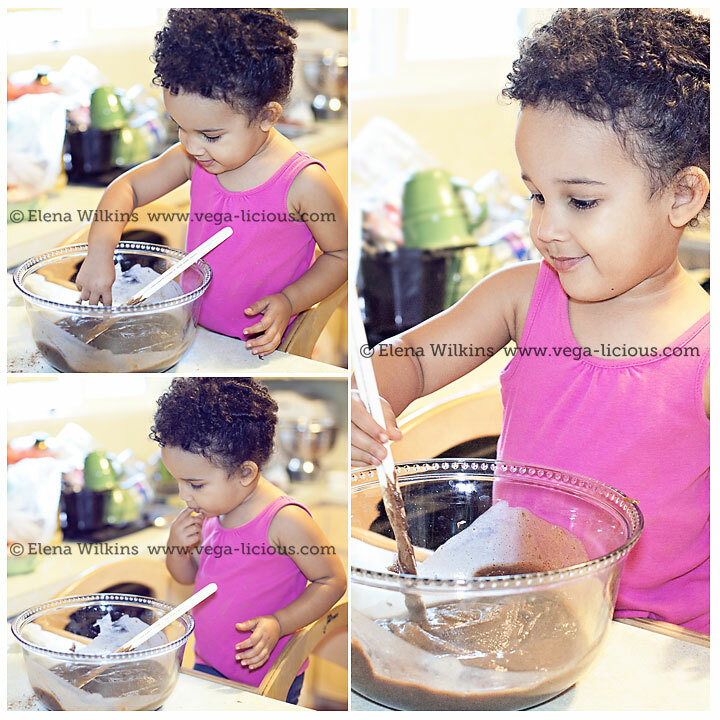 She was happy to stir and taste the batter all at the same time. Place in the oven and bake for 27 minutes. After 27 minutes take out and insert a toothpick in the middle and on the edges–if it comes out dry, brownies are done. If the toothpick is not fully dry, bake brownies for additional 2-3 minutes. In a few minutes gently slide brownie sheet off the parchment paper. 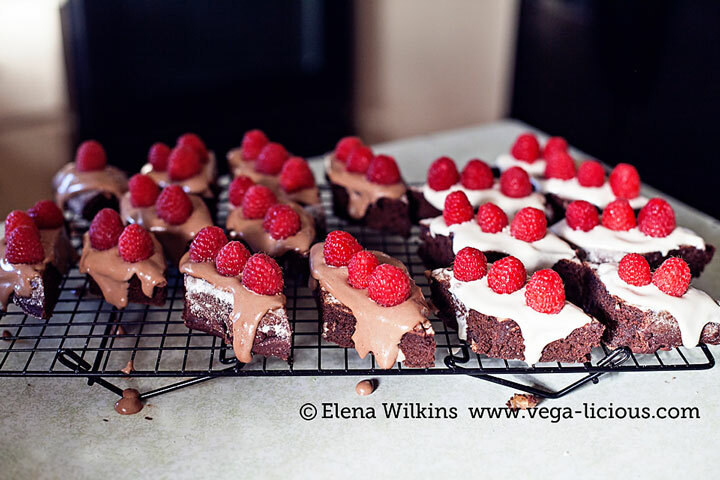 When brownies have cooled, spread Cashew Chocolate Frosting over them, and cut into 2-3 inch diamonds. I guarantee you that you will be blown away by the results. I had taken these gluten free brownies to a recent information session and no one could tell that they were gluten free. I also fed them to very discerning family members who love brownies, and they licked their plates clean. Make these, take pictures, let me know how they turn out, and make sure to share this post with everyone you know!